In 2009, Chaos were appointed by Guildford College Group to deliver a cohesive brand across the newly merged entities - Merrist Wood, Farnham Sixth Form College and Guildford College. Through vibrant visuals, Chaos delivered a brand that still is fresh and stands out in the market today. 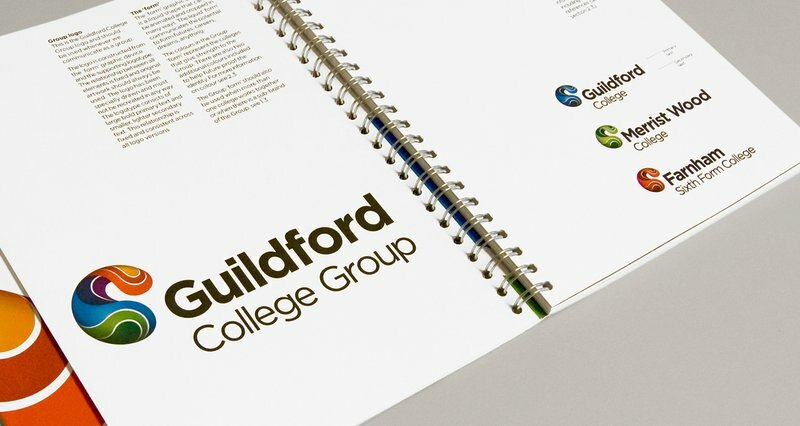 Following the newly merged entity: Guildford College Group, we were tasked accordingly with designing an identity to unify the three colleges, allowing each to retain its individuality while benefiting from being part of the larger college group. We developed a fluid, contemporary identity which showed graphic inter-relationships, representative of the three colleges. Each with it's own colour, so when seen in isolation each college has an ownable style/colour palette. The brand was successfully rolled out across all websites, signage and advertising based on full guidelines which we produced. In an otherwise glowing report in 2009, Ofsted raised concerns about the lack of a cohesive public profile for the newly merged entity: Guildford College Group. 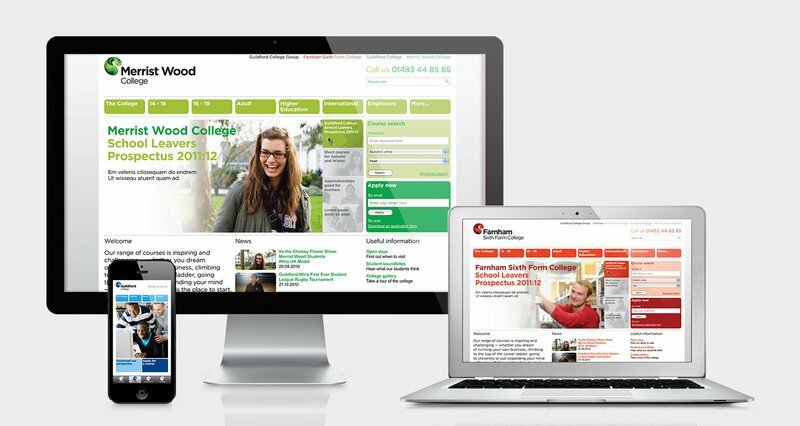 One of the key tasks was to use the newly developed brand language to create a suite of 4 websites for the Group, Guildford College, Merrist Wood College and Farnham Sixth Form College. By embracing the main brand colour for each college while using a intuitive and simple template, each college now has its own site and mobile version that clearly linked to each other visually. Each of the colleges logo icon was also used to create engaging and distinctive app icons and favicon.